The Celtic promenade is the continuation of the Petőfi street. Right at the beginning of the road there is a little Chapel, wich was built by the Széchényi family in 1897. Masses and concerts are held here during the summer. Next to the Chapel a former Celtic castle's only remaining rampart be found. At the top of this rampart there is a small lookout point with a marvelous view to the lake. According to archaeological findings in the IV. century a Celtic culture flourished in this region. Further along we reach the top of the 40 meter-high loess wall. 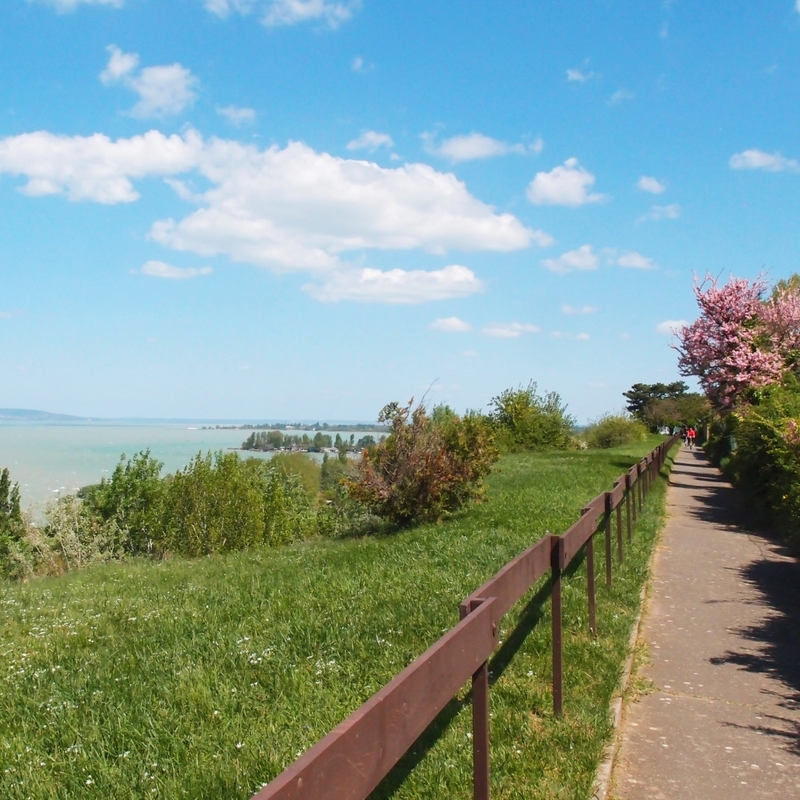 The Hungarian Flag waves above the panoramic view of the opposite Tihany peninsula and the lake Balaton. From here the Spiral Staircase (Csigalépcső) leads down at the loess wall, this is the fastest way to reach the Western Beach and the Kvassay promenade. If we continue walking on the promenade, we will arrive to the newest look-out tower and exibithion of Balatonföldvár, the History of Shipping - Visitor Centre.